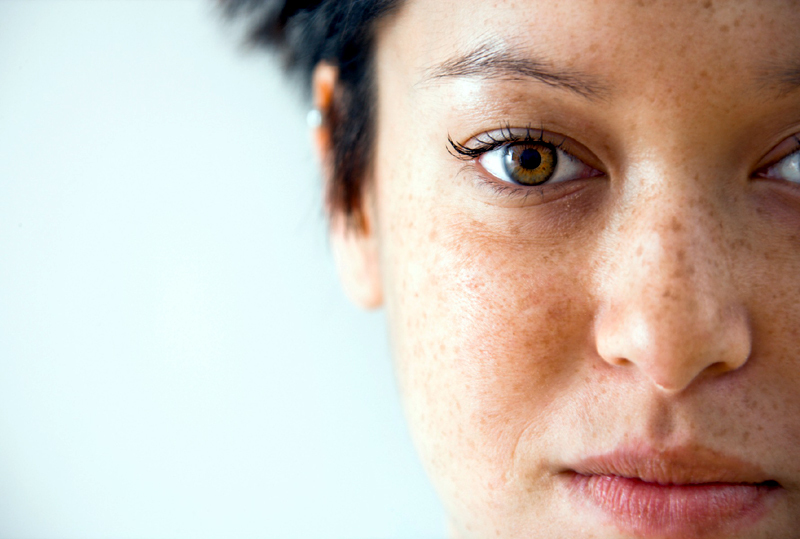 What Is Melasma and What's the Best Way to Treat It? Random dark spots popping up on your skin? It could be melasma. Here's what you need to know about the condition and how to treat it. Skin-care experts reveal exactly how to deal with those random (annoying) dark spots. In my late 20s, dark spots started appearing on my forehead and above my upper lip. At first, I thought they were just inevitable side effects of my youth spent soaking up the Florida sun. But after a visit to the dermatologist, I learned that these dark spots are actually associated with a skin condition called melasma. "Melasma is a very common condition, and usually appears as flat darkened areas on the skin that are exposed to sun," says Paul B. Dean, M.D., dermatologist at the Grossmont Dermatology Medical Clinic and founder of SkinResourceMD.com. That's also why women are much more likely to get these dark spots than men. In fact, 90 percent of people with melasma are female, according to the American Academy of Dermatology. People with darker skin tones are also more likely to get it. Disclaimer: Although it's hormone-induced, it doesn't give you free rein to bake in the sun. "Sunlight can exacerbate melasma because sun exposure activates protective melanin cells, making the surface of the skin darker overall," says Lekus. First, the good news: Melasma tends to improve once estrogen levels decrease, such as when you stop taking birth control, when you're no longer pregnant, and after menopause. Don't try to fight against melasma while you're pregnant, because it's a losing battle, says Lekus—and it usually fades after you give birth. So what can you do? Protect your skin. Now, for the news that my sun-loving, 16-year-old self feared most: "The most important treatment for melasma is keeping ultraviolet rays off of the skin," says Cynthia Bailey, M.D., a diplomate of the American Board of Dermatology and founder of DrBaileySkinCare.com. In other words, no sun exposure—period. Do this by wearing broad-spectrum sunscreen every day (even on rainy days and indoors, where UV rays can still harm your skin! ), rocking wide-brimmed hats, and avoiding sunlight during peak daylight hours (typically 10 a.m. to 2 p.m.), suggests Dr. Dean. Try prescription hydroquinone. For a more proactive approach, talk to your dermatologist about a prescription medication called hydroquinone, suggests Dr. Dean. "This is the best topical treatment for melasma, which comes as a cream, lotion, gel, or liquid." You can find it in over-the-counter form, but that's a 2 percent concentration, notes Dr. Dean. The prescription form is up to 8 percent concentration, and much more effective. Craft a specific skin-care routine. In addition, retinoids such as Retin-A and glycolic acid will help to lessen pigment production by other mechanisms, says Bailey. "Crafting a layered skin-care routine with as many pigment lighteners and pigment production reducers topped with broad-spectrum sunscreen gets the best results." You can also reduce the appearance with OTC products that contain lightening ingredients such as kojic acid, arbutin, and licorice extract, says Lekus. One example: Skin Script's glycolic and retinol pads which contain kojic and arbutin. Eminence's Bright Skin Overnight Correcting Cream is another option that uses a natural hydroquinone alternative to brighten skin while you sleep. Also, try at-home exfoliating products that remove the top layer of dead skin cells. "This allows healthy skin cells to regenerate, and lets your complexion glow despite the pigmentation," says Lekus. 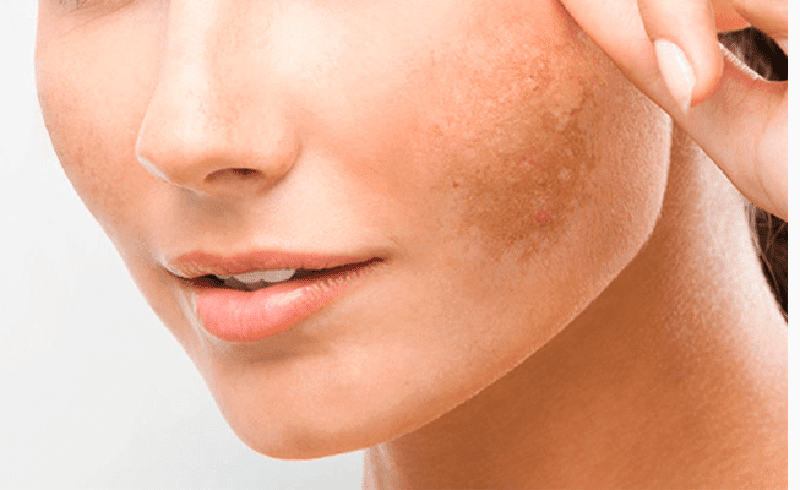 Women's Magazine: What Is Melasma and What's the Best Way to Treat It?